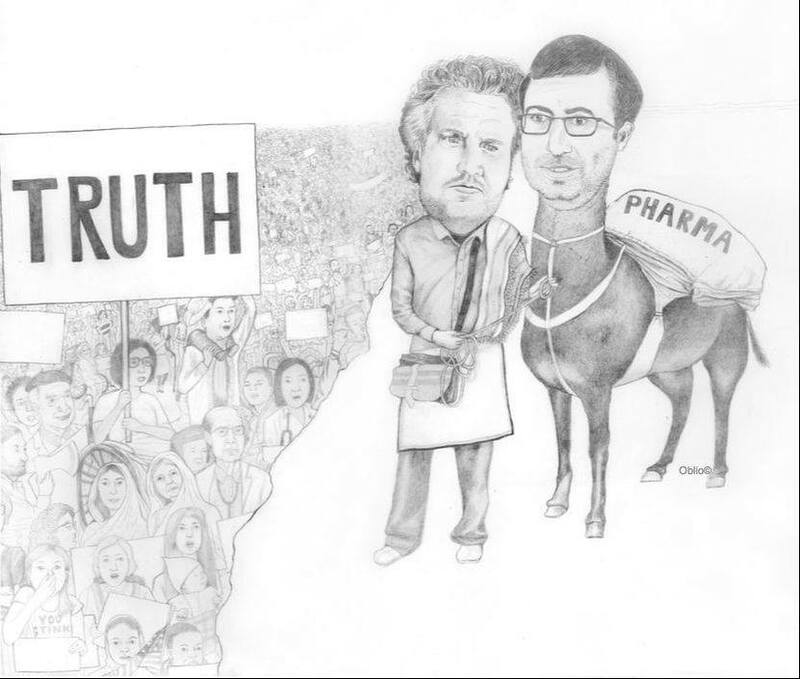 [2017 July] HBO’S JOHN OLIVER EXPOSED ''In the absence of debate and truth, US media has wielded only a few insulting, simple-minded and untrue pharmaceutical industry talking points when it comes to vaccines. One needs to look no further than Oliver’s recent 30-minute piece to hear them all. If anything, Oliver now has the record for the most polished and arrogant delivery for all of Big Pharma’s easily and long since debunked talking points. 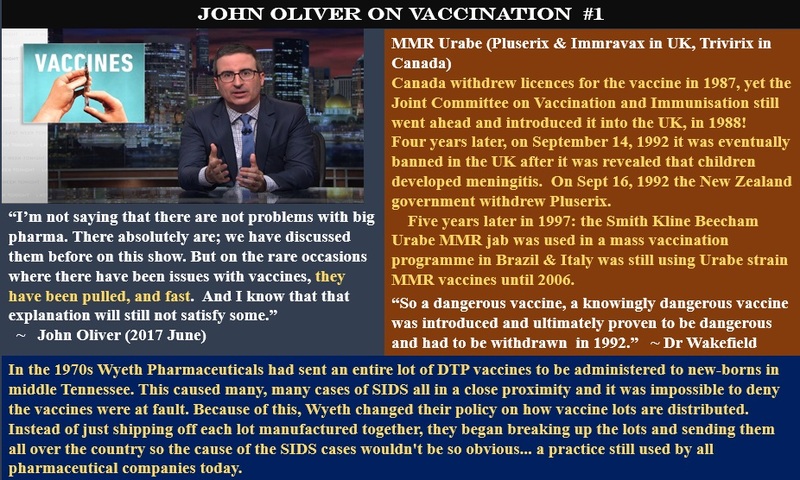 ''....Oliver went on to call for the end of investigation into the dangers of vaccines by evidencing a taped recording of Autism Science Foundation Allison Singer claiming we have done enough studies already. What Oliver’s editors didn’t disclose is that Singer also serves on the CDC’s advisory board and currently shares a board of directors position at her foundation with known Big Pharma stooge Paul Offit.